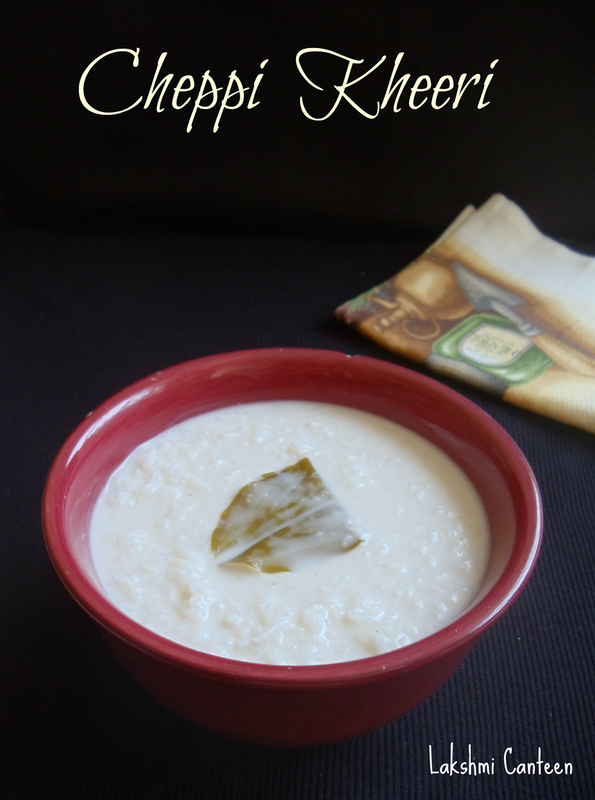 Cheppi Kheeri is a popular dish in Konkani cuisine. 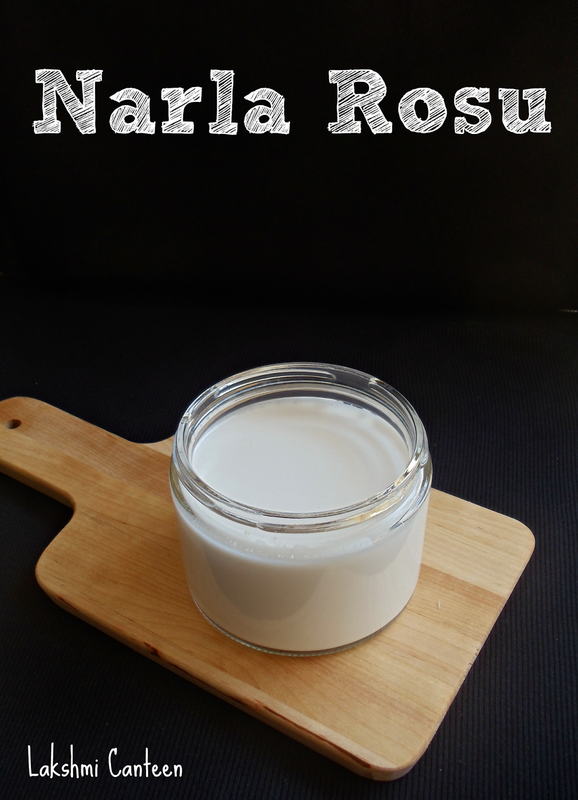 It is prepared especially during festivals like Nagarpanchami, Gowri Tritiya and Navaratri. I got this recipe from my mother. This dish is unique. The rice is cooked along with turmeric leaves until soft. 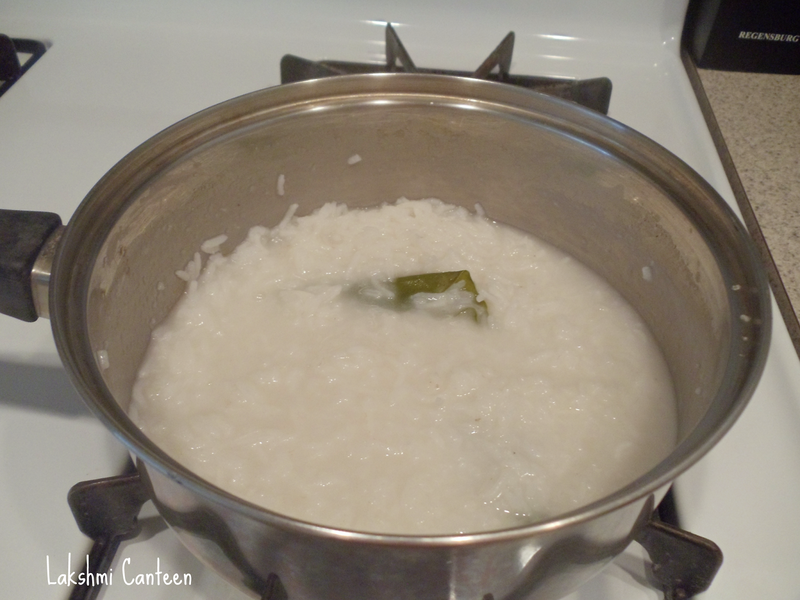 The leaves infuses a mild flavor to the rice. It is then enriched by adding freshly extracted coconut milk. 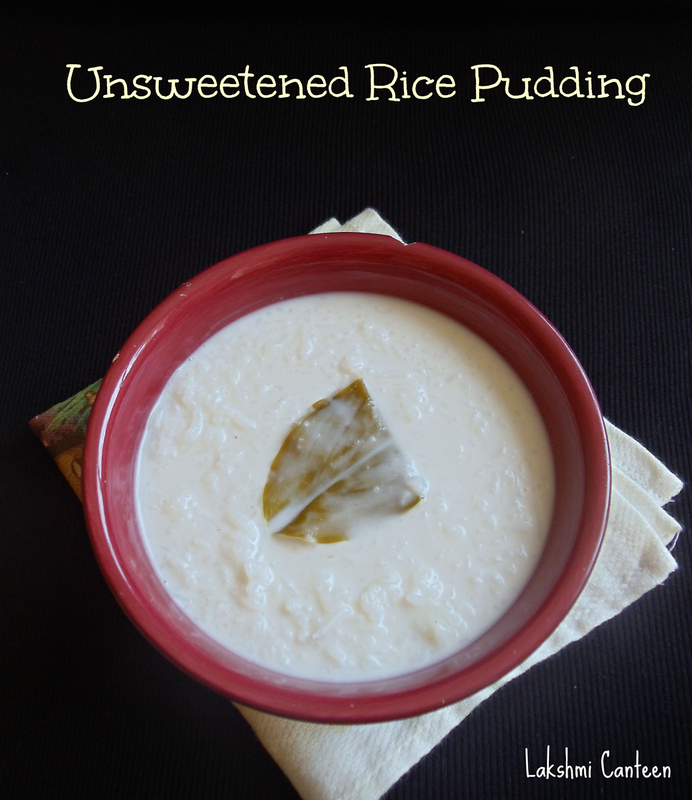 The coconut milk makes the dish little sweet and no other sweetening agent is added. 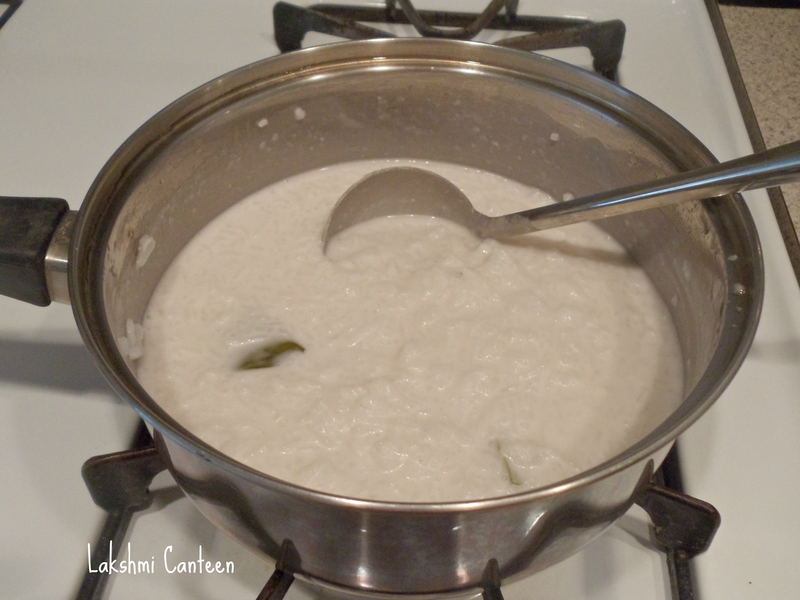 The most important ingredient for this dish is freshly extracted coconut milk. So please don't use canned coconut milk. Another important ingredient is turmeric leaves. This is the picture of the plant from my garden. 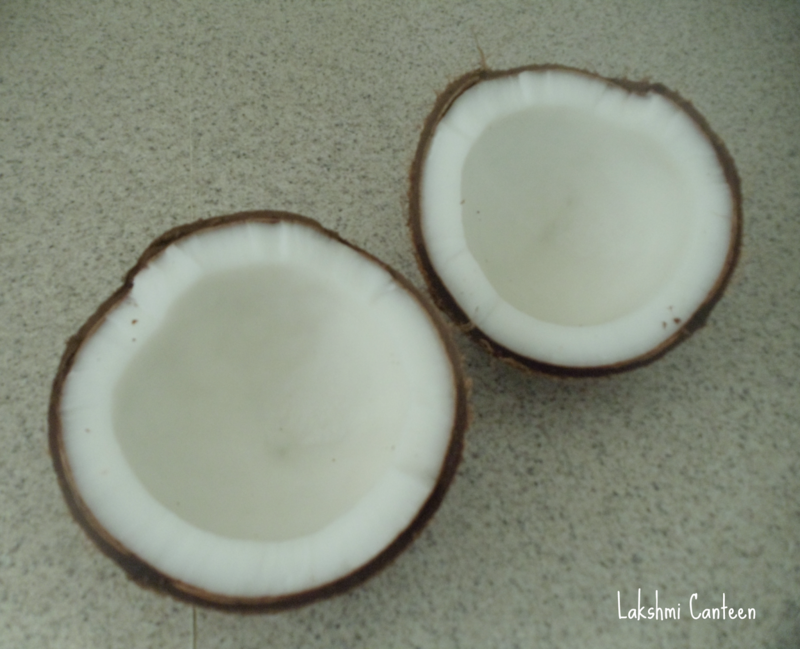 Break open the coconut into two pieces using a hammer. 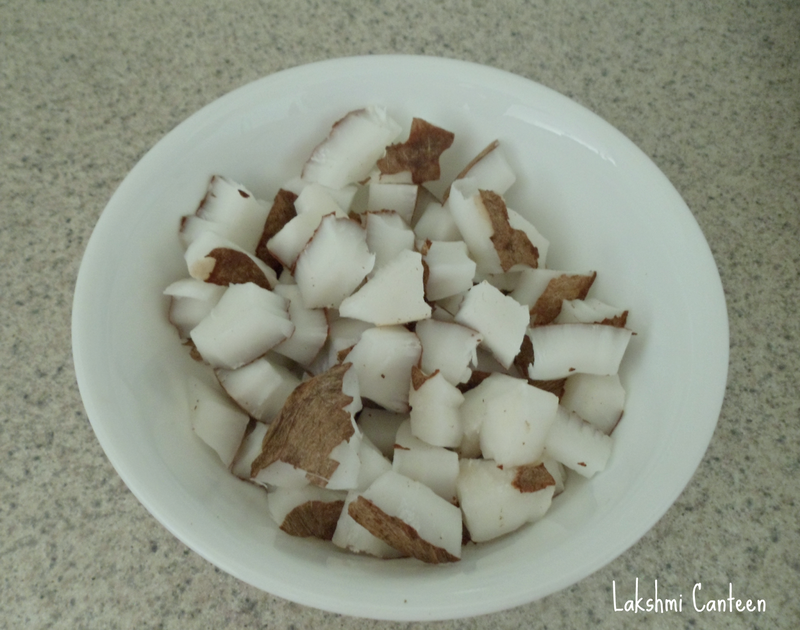 Now take one of the piece and remove the coconut meat (white part) using a knife (or use a scraper if you have). 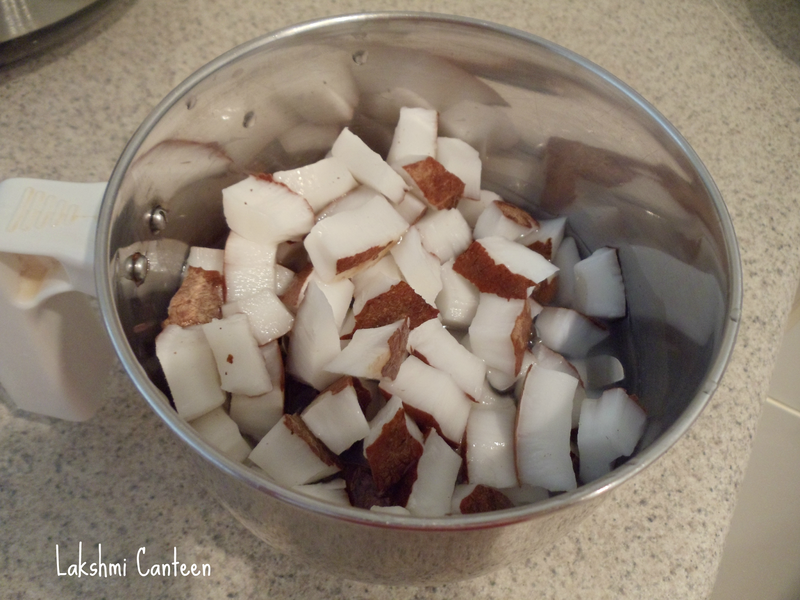 Now transfer the coconut meat into a blender along with water (1 1/4 cup). Grind it to get a smooth paste. 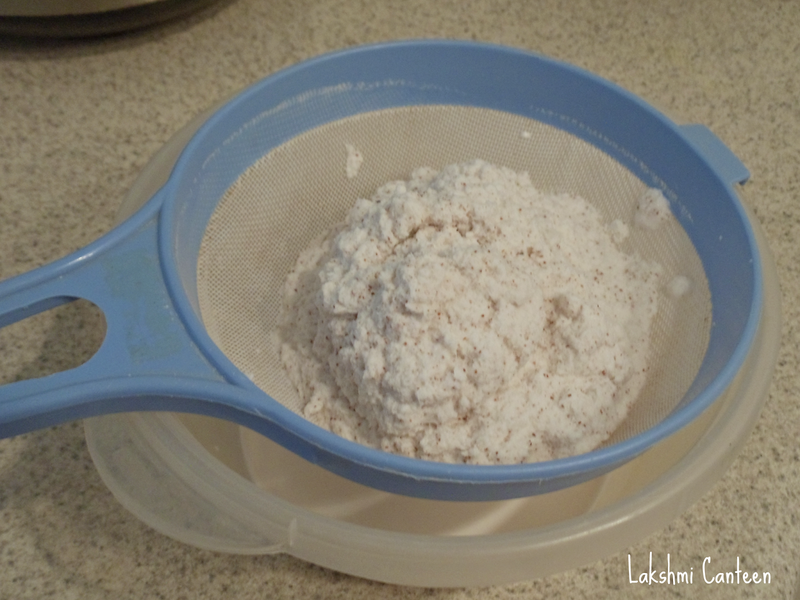 Place a fine sieve (or cotton cloth) over a bowl. Now add the coconut paste into the sieve. Press it until all the milk is removed. You will be left with dry coconut scraps. 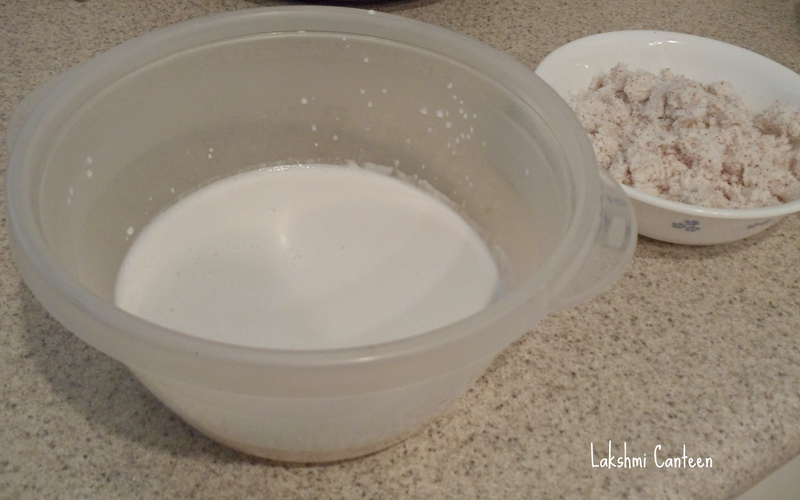 The bowl will have the thick, creamy coconut milk (thin coconut milk can be extracted using the coconut scraps by adding 1 1/2 cups of water and then passing it through the sieve. 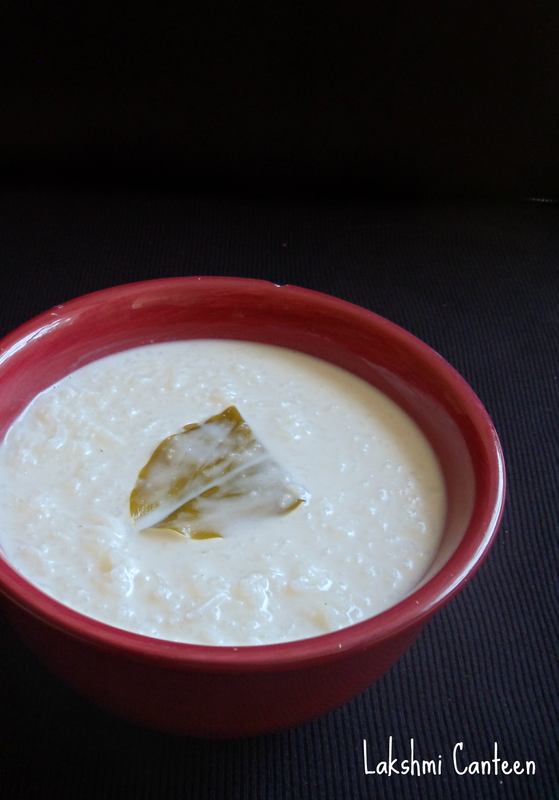 This thin milk can be added while making payasam). 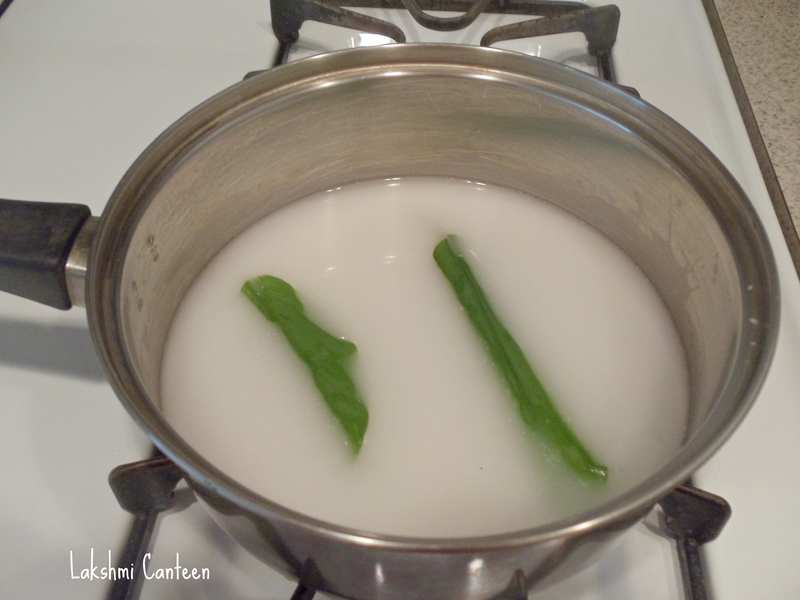 I extracted both the thick and thin coconut milk. Now set it aside. Next step is to cook rice. Wash the rice 2-3 times and put it in a cooking pot. Now add 2 1/4 cups of water (or I added 1 cup water and 1 1/4 cup thin coconut milk) and turmeric leaves. Start heating the mixture. When it comes to a boil, continue heating for a minute and then close the lid. Turn off the heat and let it sit for 15 minutes. 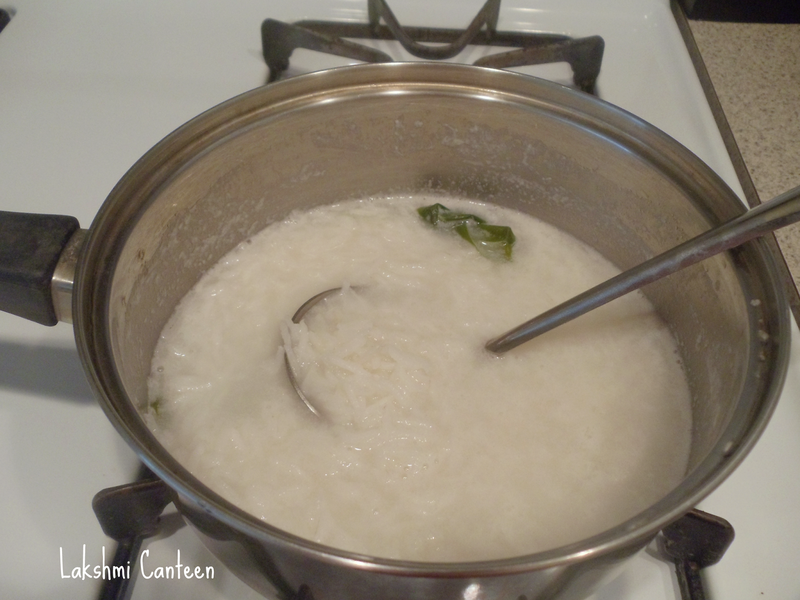 After 15- 20 minutes, the rice will be cooked and most of the liquid will be absorbed. Now again heat the rice mixture and mash it lightly using a ladel. Once the mixture looks thick, turn off the heat. Let it cool for 15- 20 minutes. 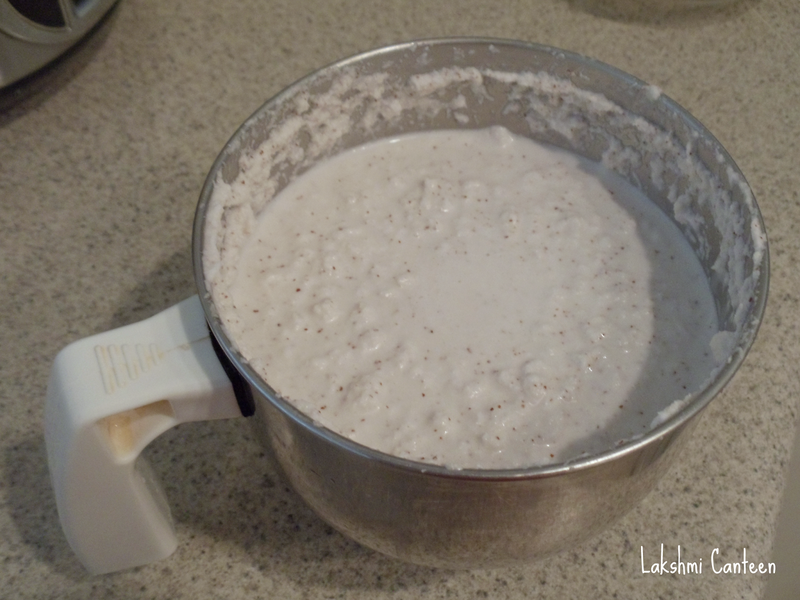 When it is still warm, add thick coconut milk and mix well. Serve it immediately. Above measurement serves two people. Serving suggestion: Sprinkle little salt while eating. oh, thank you so much! i am looking forward to trying out this dish. 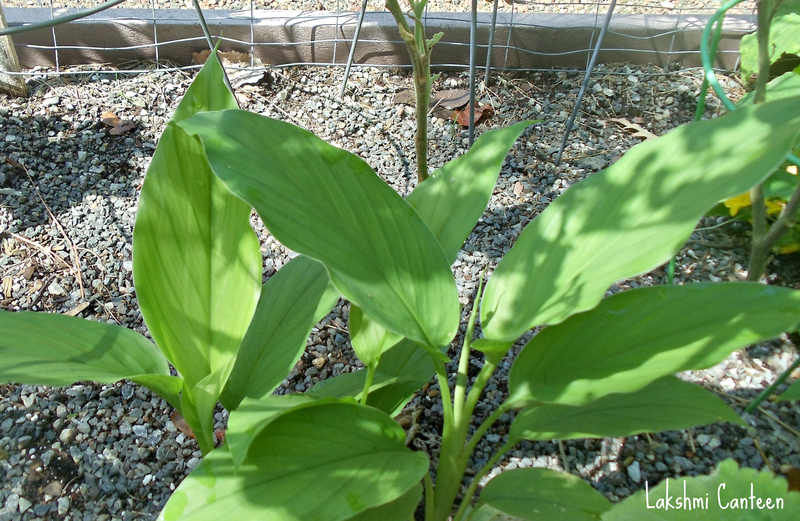 i grow turmeric too, so i have enough leaves to make this. how healthy! Thats awesome Coral. Let me know how it turned out!